Shaky camera footage is the bane of any video editor's life. It is a good job then that Pinnacle's latest piece of editing software banishes bad camerawork forever. Using some software technology that's usually associated with high-end Avid editing suites, Pinnacle Studio Ultimate HD uses something called a stabiliser effect which means even the shakiest of footage comes out the other end like it's been shot on SteadiCam. TechRadar was privy to a demo this week and it does look as if the folks at Pinnacle have tried to cram as many high-end features as possible into the software, but still making the editing suite easy to use for those getting into video editing for the first time. Pinnacle assured us that all HD codecs are catered for (even H.264), so those shooting on hi-def cameras won't have to worry about compatibility issues. There's also the option to output your stuff to the PS3, Wii and Xbox – proving that games consoles are now being seen more and more as media hubs. Interestingly, the editing software also now caters for a DSLR that likes to moonlight as Full HD video camera – the Canon 5D Mark II. 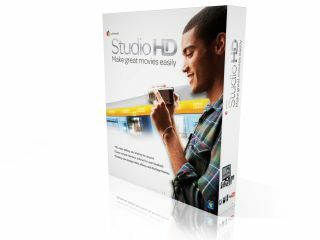 Out now, the software is Windows 7 compatible and also works on Windows Vista 32-bit and 64-bit. There are three options available: Pinnacle Studio HD (£40), Pinnacle Studio Ultimate HD (£70) and Pinnacle Studio Ultimate Collection HD (£100). If you already own a prior edition of Pinnacle Studio, then you can upgrade online for £40 (Pinnacle Studio Ultimate) or £70 (Pinnacle Studio Ultimate Collection). Go to www.pinnaclesys.com/studio for more information.